In the mail I received an early copy of the “2008 Report to the Nation on Occupational Fraud and Abuse” from the Association of Certified Fraud Examiners. The 2006 report has represented de facto standard for qualitative fraud calculations and risk mitigation efforts. While there is no substitute for reading the full report I will highlight the following key areas – Audience, Nuggets, and Action items. Again, this ACFE report is incredibly valuable and should be a cornerstone of any control environment. Segments may be adopted today and into the future. In addition, the ability to eliminate subjective values in risk calculations is tremendous. Looking forward to seeing everyone at the ACFE 19th Annual Fraud Conference next week in Boston. My session on Best and Worst IT controls is on Monday! Business ebbs and flows in most industries and unless you are demonstrating true value it is hard to respond positively when management must make hard decisions. If technology services are not demonstrating value – i.e, they are not in alignment with what the business needs or there is waste throughout the system perhaps a healthy dose of self evaluation is in order. To that point I want to elaborate on an INC. magazine article I contributed entitled, “Instituting Security Metrics” by Lora Shinn. There are two lines of thought I want to explore, the first is how Security Metrics *can* enhance the value of the technology environment and the other is how they can save the business. Security Metrics are any measure of the organization’s efforts to safeguard the assets of the corporation. These may be sensitive information databases, actual hardware devices, the staff, or any number of categories depending on your business. It is important to recognize that these are “a part of” a greater measurement effort within your business. It is 100% certain that your business is currently calculating ROI, ROA, ROE, and hundreds of other metrics relating to finance, employee turnover, customer satisfaction, competitive industry scorecards, and even compensation baselines. These existing performance, governance, and business metrics can provide the technology group with a sufficient methodology and format when preparing similar security metrics. Measure what the business requires of these assets. Only at this point can action be taken. The “action” referred to here may include decommissioning unnecessary hardware, eliminating specific redundant architectures, insourcing or outsourcing specific functions, or transforming the operations to a fully distributed platform. The end result is a technology services group that achieves optimal balance between mission and cost thereby providing meaningful impacts to both the top and bottom line of the financial statements. Loss of sensitive data, downtime due to forensic / virii, government and industry partner fines, loss of customers, and loss of confidence with business partners are the results of security failing. Security metrics must consider the inputs into these risks for the business and appropriately mitigate each as necessary. In future postings and in a recent research briefing I will elaborate on these important points. Check out the article here, and please post your comments on how you feel security metrics should be positioned, and which are your favorite? The new book is HERE!!! Here are two quick shots taken while opening up the first shipment of books! Below the pictures I briefly sum up the intent of the book. Of course, the major book sellers present it better, and you can read the entire back covers and inside flaps here. A global synthesizing of how society and business has progressed over the past 100 years to integrate information technology, and their relative importance to business. The work is based on an analysis of over 140 separate public frameworks, laws, audit reports, and numerous guidance documents plus personal experience auditing and assessing over a million systems around the world. This effort resulted in an identification of key principles that represent the best practices that globally competitive organizations must adopt to balance the risks and rewards of operating in the 21st century. An action plan is designed to enable businesses to evaluate their important controls and consider the next 100 years. A great deal of time is spent exploring PCI DSS, NERC, SOX, FFIEC, and their related controls. Plus some interesting challenges related to virtualization, grid computing, and the implied reliability of the Internet backbone. Thank you for taking the time to visit and contribute to this forum, and your feedback and future comments on this site. A recent article was published that proffered that companies need not hire expensive consultants to meet PCI compliance. The author goes on to detail the best approach is to first – walk through the documents internally, and second – document your controls. I whole heartedly agree that self reflection and properly recording controls is absolutely pivotal to reaching compliance with PCI, and in fact you could apply it to any mandate or legal burden. I feel however the author has left a few rocks unturned, and wanted to highlight additional practices (demonstrated by clients in the U.S.) that can maximize your efforts in demonstrating, maintaining, and operating a compliant control environment. Organizations should consider how their existing control environments are deployed, and whether other attestation events will examine the same systems. 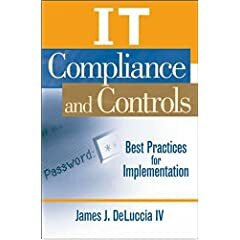 It is very likely that the identity management system, firewall, logging servers, anti-virus, etc that are identified as core controls for PCI are also applicable to SOX, FERC/NERC, and many others. So, identifying what controls are in place, and then producing a single set of audit documentation can maximize the audit engagement and remove duplication. Audits are done to examine a period of time in the past to validate that the controls are operating correctly. If audit events are stretched out over several months then the test period in question shifts with the audits, and while it is good for the organization to maintain an optimal level of compliance due to these long audit windows it is also extremely wasteful. Similar to the alignment savings, having to provide the logs of your LDAP server once instead of six times has obvious benefits and results in clear savings. Merchants required to produce a report on compliance to VISA and the other card associations may hire an assessor, OR through an “internal audit if signed by an Officer of the company“. That can translate to very large savings both in audit fees and the fact that internal audit departments (or assigned persons) will have greater knowledge of the business than an outsider. A note of caution to this saving recommendation – third parties come with experience of multiple environments (likely areas of weakness), and without assumptions made and accepted by being part of a culture within a company. Extreme diligence must be taken when internal resources are relied upon – especially if those assigned are those running the environments (fox watching hen house). There are many other areas of savings that can be achieved for PCI, and a larger amount of practices for SOX, and others… but another time. I welcome any additional areas of savings people have seen!! This highlights and supports that Multifactor authentication is beneficial and should provide immediate returns to the organization on a financial and public goodwill posture. An important fact that highlights that threats can come from different angles, but the target is STILL the data and we must do a great job at securing and monitoring those data stores. What truly resonates with me is the amount of fraud reduced through a simple introduction of a control. The economics and technical feasibility of this control are very understandable and not complex. I feel there is a huge opportunity for online merchants, not banks that are subject to the FFIEC, to fully embrace this control and necessary technology. PCI DSS mandates under Section 8.3 that administrators, employees, and third parties use two-factor authentication when accessing data remotely – this does not apply (today) to consumers. A good set of studies on multi-factor authentication usefulness and applicability can be found here, here, here, and here. Updated: Great breakdown on Multi-Factor approaches and analysis by Karim Zerhouni Senior Manager for BearingPoint. Fraud is an issue that impacts the business profit margins and disrupts the consumers lives. Reducing cost and improving a consumer experience is a best practice in any economy, nation, and industry. This is a positive theme that is occurring around the country and throughout various consulting firms. Deloitte also recently highlighted the challenges and opportunities that exist through the executive and technology branches of the organization. An interesting point is, highlighted by DT, that the CIO is currently not perceived as the executive over information, but instead is more a technology manager. This focus on gears and switches will transition away as the role and the requirements of business evolved. This is consistent with the shifts seen in the CFO suite where a greater focus is placed upon that of strategy and less on Controller type activities. A recent study was released that highlights the information intelligence and satisfaction of the Executive, the Board, and the rest of the C-Suite.